Draft: 2010, Tampa Bay Rays, 8th rd. Married to Bre...Signed by D-backs as a free agent (Dec. 7, 2018)...Grew up in Scottsdale, Ariz., and attended Desert Mountain High School, Yavapai College and Arizona State University. Led the SK Wyverns to the 2018 Korean Series title, going 12-7 with a 4.09 ERA in 28 starts of the KBO League...Made 2 starts in the Korean Series vs. Doosan Bears, earning the victory in Game 3…started Game 6 and held the Bears hitless in the first 5.1 innings...Ranked among KBO starting pitchers in strikeouts per 9.0 IP (2nd), WHIP (1.26, 6th), ERA (7th), and wins (8th). Split the season between Double-A Montgomery and Triple-A Durham, earning a June promotion…in a combined 28 games (26 starts), went 13-10 with a 3.64 ERA (158.1-IP, 64-ER)…dropped his ERA by early a run in Durham, from 4.15 in Montgomery to 3.19…ranked 3rd among Rays farmhands with 13 wins and 5th with 111 SO…pitched for the Salt River Rafters of the Arizona Fall League…in 9 apps in the AFL, went 1-0 with a 4.91 ERA (11-IP, 6-ER). Compiled a 3.28 ERA (88.1-IP, 35-ER) in 32 apps with Montgomery…went 2-3 with a 3.21 ERA (42-IP, 15-IP) in 9 games as a starter…went 6-0 with a 3.88 ERA (46.1-IP, 20-ER) in 23 relief apps. In his first full season, finished with the 9thbest ERA in the Rays organization at 3.28 (129-IP, 47-ER)…led the Stone Crabs with 129 IP and was 2nd with 8 wins, 1 behind Alex Colome. Appeared in 12 games between Short-A Hudson Valley (7 apps) and Class-A Bowling Green (5 apps)…allowed 5 ER in 21.1 IP for Hudson Valley, walking 5 and striking out 19. 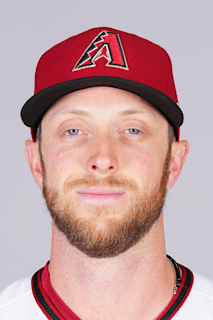 December 4, 2018 Arizona Diamondbacks signed free agent RHP Merrill Kelly. December 17, 2014 Durham Bulls released RHP Merrill Kelly. October 17, 2014 RHP Merrill Kelly assigned to Leones del Escogido. September 3, 2014 Durham Bulls activated RHP Merrill Kelly from the temporarily inactive list. August 30, 2014 Durham Bulls placed RHP Merrill Kelly on the temporarily inactive list. August 19, 2014 Durham Bulls activated RHP Merrill Kelly from the temporarily inactive list. August 15, 2014 Durham Bulls placed RHP Merrill Kelly on the temporarily inactive list. February 3, 2014 Tampa Bay Rays invited non-roster RHP Merrill Kelly to spring training. June 13, 2013 RHP Merrill Kelly assigned to Durham Bulls from Montgomery Biscuits. March 17, 2013 RHP Merrill Kelly assigned to Tampa Bay Rays. April 5, 2012 Merrill Kelly assigned to Montgomery Biscuits from Charlotte Stone Crabs. May 23, 2011 Merrill Kelly roster status changed by Charlotte Stone Crabs. May 16, 2011 Charlotte Stone Crabs placed RHP Merrill Kelly on the 7-day disabled list retroactive to May 14, 2011. April 5, 2011 RHP Merrill Kelly assigned to Charlotte Stone Crabs from Bowling Green Hot Rods. August 13, 2010 Merrill Kelly assigned to Bowling Green Hot Rods from Hudson Valley Renegades. July 9, 2010 Merrill Kelly assigned to Hudson Valley Renegades from Tampa Bay Rays. July 8, 2010 Tampa Bay Rays signed RHP Merrill Kelly.